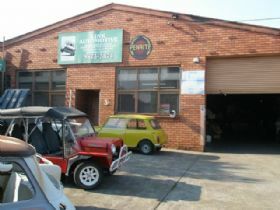 Link Automotive has built a solid reputation over many years as a Mini specialist Parts and Service provider. The current proprietor, Bryan Pope has been in the car game for twenty nine years and started working at Link Automotive in 1980 and six years later acquired the business from the previous owner. In his early years in the trade Bryan was lucky enough to work with Ron Brownrigg who is widely acknowledged as a guru on everything to do with the Riley and Mini marques. The exposure to his wealth of experience and knowledge on these cars gave Bryan the confidence to keep the tradition of Link Automotive going and also to provide clients with a range of additional services including modifications to modernise the driving experience of classic marques. The business has a staff of four full time employees and Bryans wife Heather works part time building engines to client specifications. They have a fully equipped workshop that can hold four cars and the skill set of the employees allows them to do anything a client requests. The workshop has three hoists and a vast array of equipment including two lathes, Bridgeport mill, surface grinders, tune scope, tyre and wheel balancer and changer. There is a fully equipped head room allowing the team to provide services such as porting and polishing and unleaded conversions. 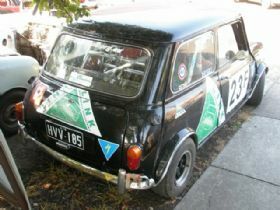 Link Automotive is a Mini specialist but they can do anything on a wide range of classics. They can provide a routine service to engine rebuilds and supercharging right through to full restorations. All restorations are carried out to the clients specification and they will project manage the entire process ensuring a hassle free experience. Most of the work performed involves doing the car to suit the customer. Some customers want to keep their cars original, others want to make upgrades to enhance the road manners or have their cars prepared for race duties. All projects have to satisfy Bryan and this involves taking their time to do it right and ensuring the car is fully sorted before a customer takes delivery. Often Bryan will drive a car home which involves a one hundred plus kilometre round trip to ensure he is happy with the final result. They have worked on MGBs, Maserati, TVR, and Bolwell and currently are in demand from MGF owners. They have the necessary diagnostic tools for the MGF and have the experience to work on the fuel injection and the internal computer management system. A lot of companies shy away from working on these cars due to the difficulty in accessing the engine but this poses no problems for the staff at Link Automotive. 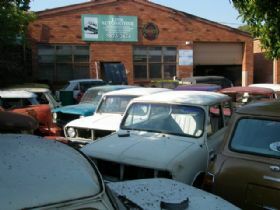 The business has a huge inventory of spare parts for Mini that encompasses used, NOS and reproduction parts and out the front of the workshop are a range of Minis and Mokes currently being wrecked. Parts are shipped on a regular basis Australia wide and internationally so chances are if youre looking for that hard to find part they will have it in stock and be able to ship it to your door. They also carry some inventory of MG parts and can source anything required by customers. Link Automotive work closely with High Performance Products who are located next door to their workshop in Mitcham. The business is run by Hans who provides a range of supercharging products and has specialised equipment to manufacture extractors and air filters. The supercharging units are sourced from Sweden, the kit comes from Hans himself and he is the Australia distributor for the computer program to ensure it all runs smoothly. Mini, MGB, Honda Beat, Suzuki, Triumph TR4, MGA, Renault Scenic and MGF have all had superchargers fitted with phenomenal results. With Bryan they did the first modified MGF 1.8 that received a set of extractors, head work and cam grind and they were very impressed by the results. 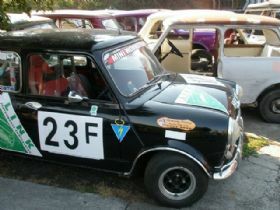 Link Automotive has been involved in racing for many years and Bryan campaigned a sports sedan Mini for ten years on local tracks. They have prepared cars for Targa Tasmania, Group N racing and one of the engines they have built for a MG Midget has recorded class wins four times in Targa Tasmania. As you would expect there are numerous classic BMC family cars owned by Bryan and his wife Heather. 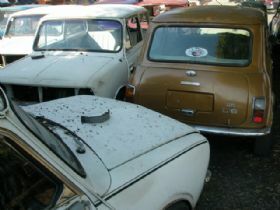 There is a SC 1275 LS Clubman, Cooper S powered Moke and a tricked up 1970 Mini K with coil springs and all the goodies. Bryan is an active member in the Mini and Moke club and they receive a lot of positive referrals through club members. If you are looking for Mini parts, engine work, performance enhancements, a routine service or want someone to tackle a full professional restoration for you the team at Link Automotive can help. They can be contacted over the phone on (03) 9873 3874 or you can drop by the workshop Monday to Friday from 8.30am to 5.30pm. For the convenience of their clients they are also open Saturdays from 9.00am until 2.00pm. They also have an informative website that details all their product and service offerings.